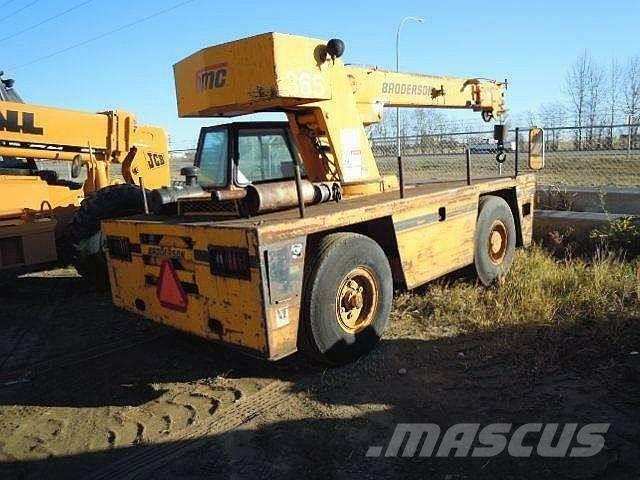 Other information/spec Description: ENCLOSED CAB, 30FT. BOOM, NO JIB,CUMMINS 4 CYLINDER DIESEL ENGINE.HOOK BLOCK,HOOK BALL. ANTI TWO BLOCK.BIG SHIPPER II 386 LMI SYSTEM.FAIR PAINT, GOOD COSMETICS.HYDRAULIC OUTRIGGERS, WORK LIGHTS.